Put together in response to the Parkland incident last month, our opposition never lets a tragedy go to waste. Heck, the current face of the anti-civil rights movement, one David Hogg, was calling for gun control while still trapped in the school. Most people would have been, I don’t know, trying to escape or respond to the attack, but this young propagandist, a son of a CNN producer and FBI agent, was instinctively going for the political angle. But, enough about the Hogg. It’s his right to complain and spew forth highly unprofessional profanities about people he doesn’t like. I’m not going to waste column inches on a 17-year old pissant. For most people, gun control is a fad. They get worked up about it when it is convenient, i.e. when the Bloomberg-beholden shills like Linda Sarsour, Shannon Watts, the Brady Bunch, random hack politicians like Oscar Branyon, Marco Rubio, and Dianne Feinstein, and petty celebrities like Katy Perry issue the siren song of collectivist groupthink and low-grade fascism. Sure, it sounds good on paper. We all want a safer society, and we want our kids to live and thrive. But, restricting the rights of innocent individuals based on the actions of a statistically-insignificant amount of crazed loons is not the way to go. That being said, some noise is made, we push back, maybe the needle moves a tiny bit in someone’s favor, and the misguided masses move on to the next thing, usually based on the mercurial Twitter-cycle of Donald Trump. Unlike our opposition though, we exercise and support our rights every day. 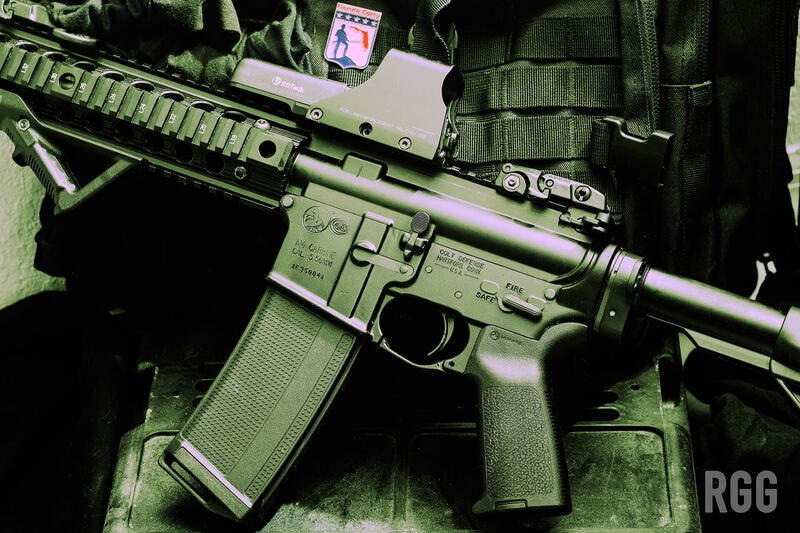 We donate to organizations like the Second Amendment Foundation. We train with our firearms. We support our industry by regularly buying new firearms, ammo, and accessories. And most importantly, a lot of us “march” every day and carry a firearm on our person. We don’t do this because we feel “inadequate” or whatever trope the opposition comes up with this week, we do this because we recognize that even in a free and mostly peaceful society, bad things can happen. I sincerely hope that I never deploy the gun on my hip, or one of the rifles in my safe in anger. I want to go about my day, be with my friends and family, and sleep peacefully at night. We all do. Those guns are an insurance policy for that, and a bulwark against those who wish to perhaps deprive us of our rights via force, whether directly or by proxy. Yes, each and every law, whether it’s about gun control, or not watering your lawn when the moon is in Gemini, is backed up by a threat. Some laws, like laws against murdering someone, we comply with not because of the threat, but because 99.9% of us aren’t into homicide as a hobby. We’re not set up to kill each other. However, things like gun control, parking tickets, and so forth, we’re sometimes beaten into compliance because of the implicit threat to our lives. Gun owners in New York don’t buy certain kinds of rifles because they agree with the law, they don’t do it because if they try to do so, some men with rifles will show up to their door and threaten their lives as a means of compliance. So, I find it ironic that today, a bunch of people are marching for lives, but apparently us pesky gun owners aren’t explicitly included in that number. Yes, realistically I doubt most of them want us dead over the matter, but I do believe the top dog movers and shakers aren’t going to lose sleep over a few dead people who were stubbornly refusing to obey the almighty State, because it was decided somehow that individual rights aren’t worth much anymore. The interesting thing about the Second Amendment is that it’s actually kind of designed to kick in when the right is threatened. Can we march? Like, en masse? Sure. It’s our right too. But let’s be honest, a whole lot of us picking up arms and marching on the seats of power would not be received well by the mass media, and even a lot of moderates in this nation. Moderates that are key to keeping our movement, as it were, alive. Also, we’re not really at the point in our society yet of an openly-armed march on government. We still have the avenues of media and the mechanisms of government. We need to work those angles first and foremost. Marching is practical, but in not so many words, concealed is concealed, you know? If you choose this route, please refer to your laws about being armed at a protest. Also, remember, the world is watching. Don’t roll up open carrying and in plates. Dress like you would for work, and make sure your group’s message and appearance is on point. Heck, bring food and refreshments for everyone. Take the media by surprise. Make the reporter’s head spin when you offer her some free lunch. Truth be told, us gun-types are pretty damn good behind the grill. I spoke of this earlier this month in detail. Yes, I copied a post from Reddit pretty much verbatim, but the message is the key. The author was cool with it being disseminated beyond Reddit as well. I won’t lie to you guys, the current cultural milieu out there has me concerned. The apathy towards individual rights and the outright hostility towards the Second Amendment is pretty astounding. It’s all planned and concerted, of course. None of these attacks are “grassroots”. The opposition is well-funded, and they have planners and plotters who hypothesize energizing responses to any tragedy. These kinds of strategies don’t happen overnight. It takes money, and more importantly, planning. We need our own binder full of plans and scenarios, so we have the ability to respond in kind. We fight by exercising our rights, and with facts. Sidebar: Trevelyan has given his blessing and I will be copying the above-linked Fact Smackdown to this blog.